The flowers, the flowers. Vast banks of massed hydrangeas and flowering gum envelop the newly reopened Barrenjoey House, offset by giant clamshells piled high with limes and lemons. It's so perfectly Palm Beach that one diner stops to pinch a petal with her fingers. "They're real," she whispers to her companion. Of course they're real. Andrew and Pip Goldsmith, who founded the Boathouse in Palm Beach in 2008, don't do fake. 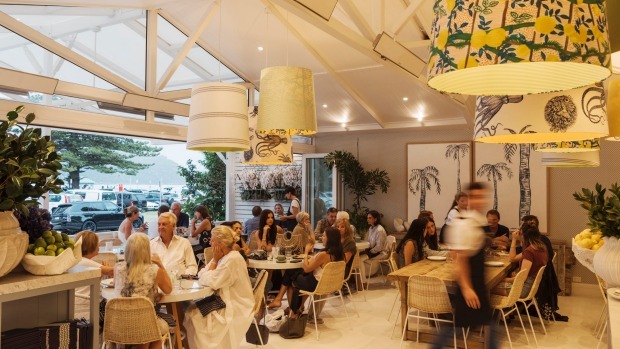 The Boathouse Group has since extended to Balmoral Beach and Shelly Beach, more recently adding a deli (Whale Beach) and a small hotel on the Central Coast (Patonga), in its unstoppable quest to help keep Australia beautiful. And now it's full circle back to Palm Beach with an additional offering, taken up a notch with table service and a lunch and dinner menu that extends beyond fish and chips. The relaxed, double-fronted restaurant is heritage-listed, either because Neil Perry gained his first chef hat on the site in the very first Good Food Guide in 1984, or because it's nearly 100 years old. Whatever, it has been dramatically "Boathoused", a term that has come to mean a sensory overload of white-washed floorboards, potted palms, statement lampshades, flowers, scatter cushions and shell mirrors. It's the beach house you have when you don't have a beach house. Locals gather in booths on the upper split-level, allowing day-trippers to hog tables on the shaded open balcony and soak up the water views. Group executive chef Thom Williamson, executive chef (hotels) Doug Fraser and head chef Petr Buchel​ have gone very "Palmy" with a menu of caviar with blinis and accompaniments ($99), beef tartare ($24), scallops with corn puree ($29) and duck breast with figs and chestnut cream ($38). A prawn cocktail is designer-priced at $39 but is enough for two to share, with 10 immaculately pink king-sized king prawns precisely arched over a bed of shredded lettuce and mashed avocado, the obligatory marie-rose sauce on top under a sprinkle of sumac. 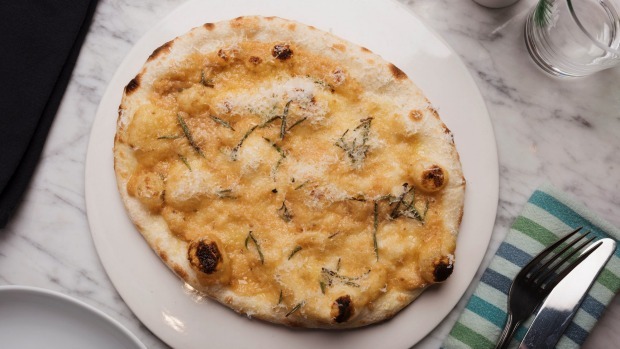 Flatbreads are a bit of a house signature, and the simplest, topped with nutty garlic confit, rosemary and manchego ($15), works a treat. 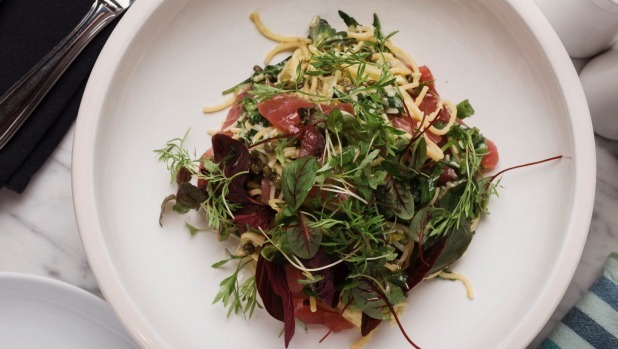 Portions can be humungous: house-made spaghetti ($34) is a tower of warm pasta and fresh tuna sashimi in a greens-laden blitz of jalapeno, lemon and garlic; again, enough for two. Most of the personality-plus staff are locals, which adds to the charm, and there's plenty to like on the drinks list, including my all-time favourite rosé, Domaine Tempier Bandol, for $135. The dish that keeps the Boathouse afloat – a pile-up of beer-battered flathead and chips ($29) – looks the part, but the batter lacks crispness, and the chips are so big as to be fried potatoes instead. 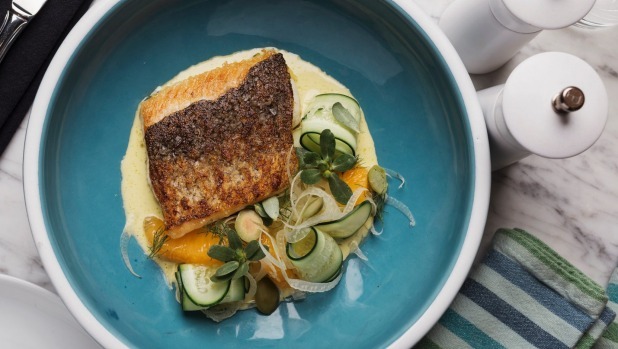 It's out-gunned by a simply seared, crisp-skinned fillet of Murray cod ($34) with a citrusy cucumber beurre blanc. 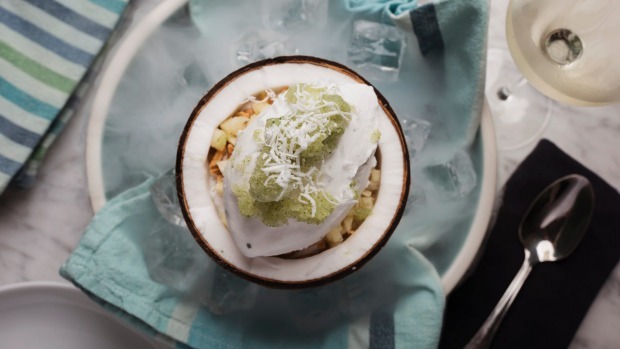 It wouldn't be summer lunch without something icy-cold, and the coconut tapioca pudding ($18) is a wow of a dish, with tapioca pearls, pineapple and almonds, kaffir lime and coconut sorbet and pineapple and mint granita, wreathed in dry-ice vapours. Out the door and heading across the road to the water to cool off, I look back at the frangipani trees, the splendidly restored homestead, and the linen-clad diners eating oysters and lobster flatbread. It's like a mirage, a theatrical Baz Luhrmann fantasy of Sydney in summer. Can't possibly be real. Can it? Vegetarian: Three flatbreads, stuffed zucchini flowers, two pasta and five side dishes; very little vegan. Drinks: Beachy (coconut mojito) cocktails, Bolly by the glass, cold-pressed juices, Single O coffee and a sunny, warm-weather wine list. 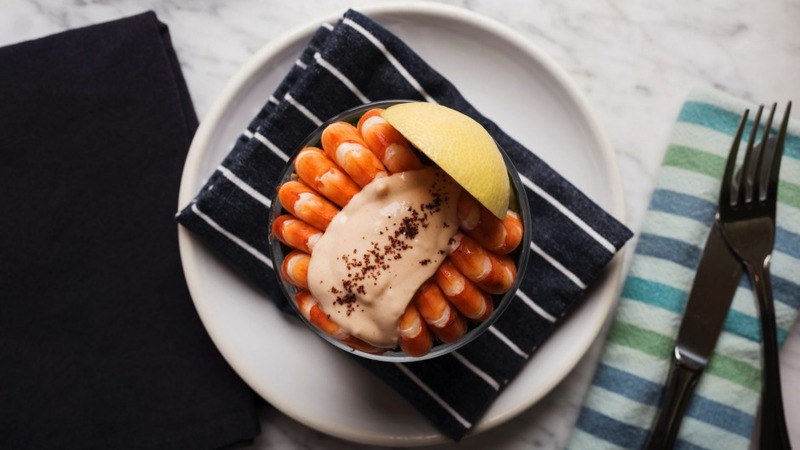 Go-to dish: Prawn cocktail with avocado and seafood sauce, $39. Pro tip: Opening on February 26 are seven sweet guest rooms upstairs, with communal living and terrace spaces.